Lock in a great price for The Dwellington – rated 9.2 by recent guests! 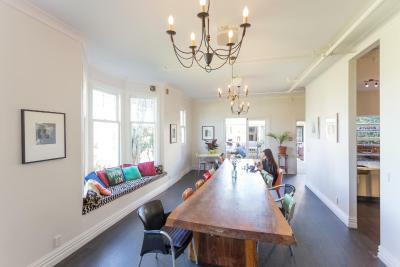 This is a great Hostel. Extremely clean and had lots of added extras! The common areas are all very comfortable and inviting. The breakfast was fantastic including fresh eggs, toast, cereal, and coffee. Staff (Noah) was very helpful. He even booked an Uber for me to get to the inter island ferry (which hostel paid for. Was less than 10 min drive). The hostel had a comfy little movie theater where they showed an interesting film as well. Great place! Friendly helpful staff. I felt very welcome. 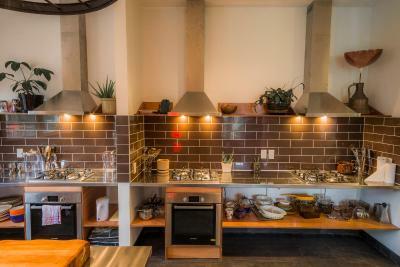 The kitchen is large and common spaces are clean and comfortable. The bed was really comfy and there was nice light and air circulation from the big windows, but no street noise because it's set back off the road. Easy 10 minute walk to the train & bus station and the bay, and another 10 minutes to the museum. Noah and Juliette were excellent. The facility was clean, people friendly, convenient location. What a gem! 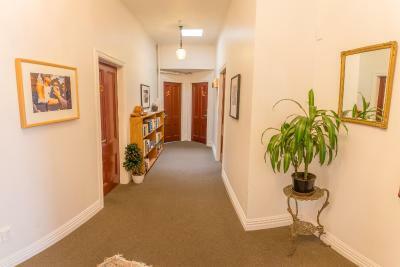 Close to the rail station and an easy 15 minute walk to town. Amazing breakfast provided and nice space to eat inside or out. Great staff. Would return for sure. Big clean and well maintained rooms and common area. Good breakfast with eggs, free towel, and just overall well organized hostel. Felt a bit more mature too which I like. 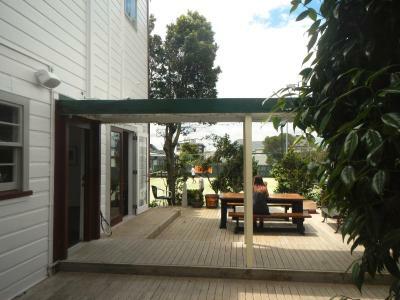 Best hostel I went in Nez Zealand, would definitely stay here again. It exceeded all of our expectations. At Christmas, while visiting family we stayed in a central city hotel. The Dwellington exceeded their service standards in every possible way. To have breakfast included was awesome. The staff were so friendly and helpful. When we booked, I had a special request which I discussed with the property and they were so helpful. The atmosphere of the building and the decor were a bonus. Very homely. 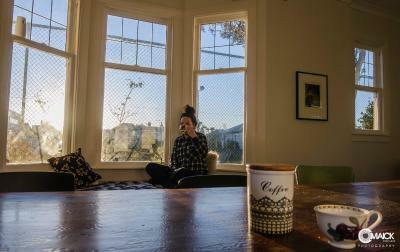 The staff went above and beyond to make our stay in Wellington a pleasant one. By the time we finished with check-in we knew the best places to eat, drink, and the sights we should stop by and see along the way. Everything was clean- our room, the showers, the restroom. Just a friendly laid-back vibe all around. Offering a tennis court, The Dwellington is less than 5 minutes’ drive from the Bluebridge Ferry Terminal and 10 minutes' drive from the Interislander Ferry Terminal. Guests can enjoy free ferry drop offs in the morning and free WiFi in public areas. The Dwellington is a 10-minute walk from Wellington Train and Bus Station and a variety of restaurants, cafes and shops. 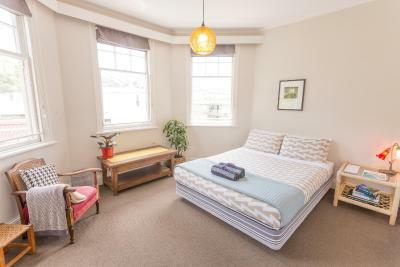 It is a 15-minute walk from Westpac Stadium and Lambton Quay. 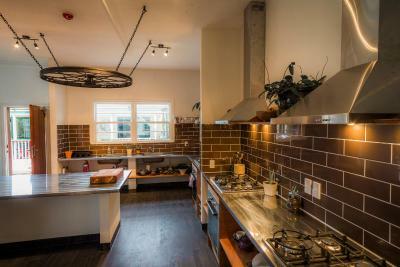 There is access to a shared kitchen and a dining area. 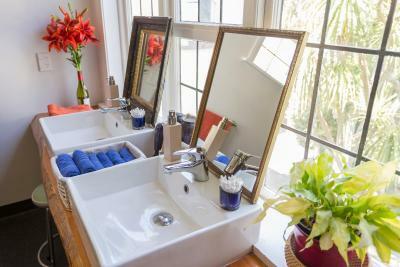 The bathroom facilities are shared and include a shower and a toilet. There is also a movie room with a TV. Free breakfast is served from 7:30 until 10:00 daily and includes coffee, tea, milk, toast, cereal and a selection of spreads. When would you like to stay at The Dwellington? This room offers comfortable linen. 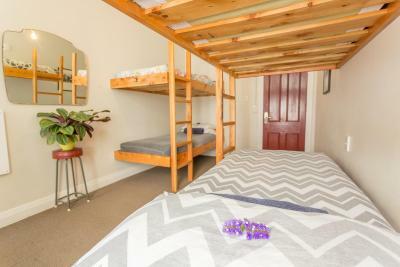 It has access to shared kitchen, laundry and bathroom facilities. 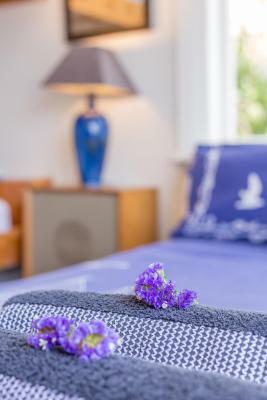 This room offers fresh towels and comfortable linen. 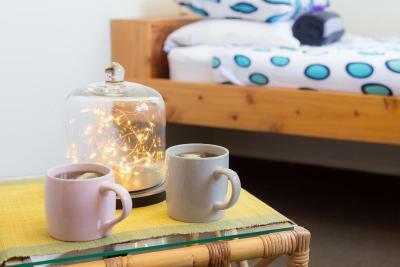 It has access to shared kitchen, laundry and bathroom facilities. This room offers fresh towels and comfortable linen. 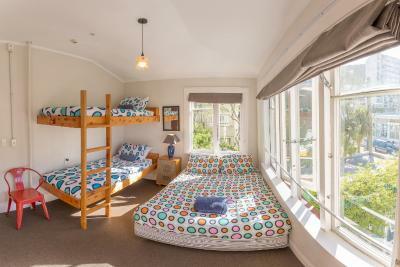 It features a balcony and has access to shared kitchen, laundry and bathroom facilities. This family room offers fresh towels and comfortable linen. 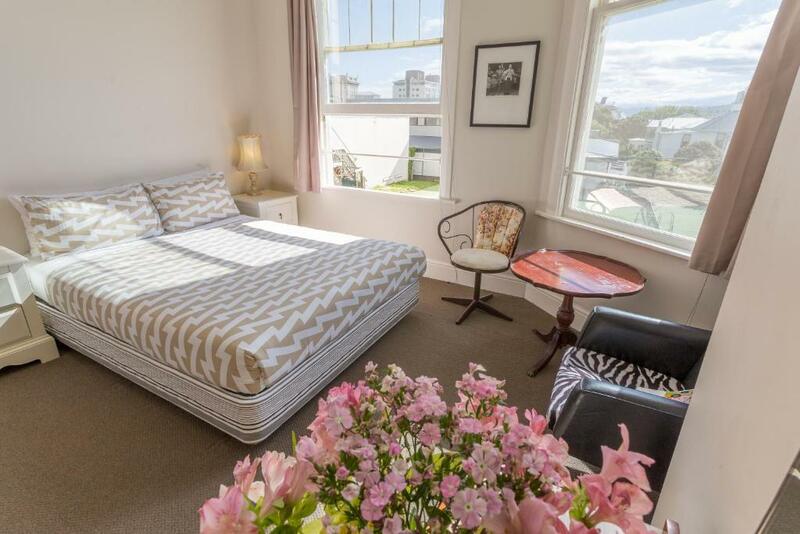 It features a balcony and has access to shared kitchen, laundry and bathroom facilities. House Rules The Dwellington takes special requests – add in the next step! The Dwellington accepts these cards and reserves the right to temporarily hold an amount prior to arrival. Limited free parking is available at the hostel. Spaces are on a first come first serve basis. If the car park is full, overnight parking in the street is free. Day parking in the street costs $7.50 for the whole day. Please inform The Dwellington of your expected arrival time in advance. You can use the Special Requests box when booking, or contact the property directly using the contact details in your confirmation. IT WAS AWESOME !!! 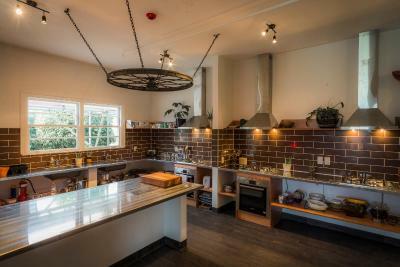 Best hostel in NZ! 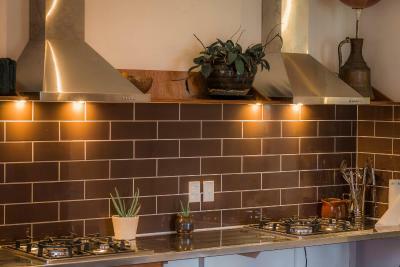 - great kitchen with ALL equipment - VERY clean - quit and relax atmosphere - good location - nice room Awesome staf!!! Very big thanks to Noah and his team. They do a great job! :-) We will be back! Staff were amazing, went above and beyond to accommodate us and our needs. 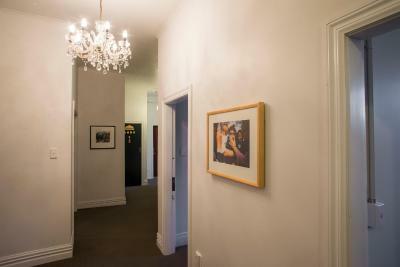 Comfy beds, clean, great common areas, the cinema room is awesome and Harry on reception is super friendly and helpful. Awesome service. Good breakfast and good location. Great rooms. Best hostel I've stayed in. Free access to tennis and squash courts is a great touch! Nice omelette cooked for me for breakfast. Staff very friendly. It takes about 20-30 minutes to walk into central Wellington. 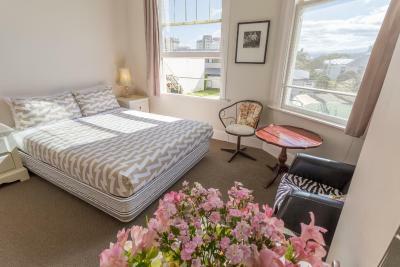 It is in a nice area and close to the botanical gardens, but a little bit too far away from Mount Victoria and Oriental Bay (like 40-50 minutes walk). 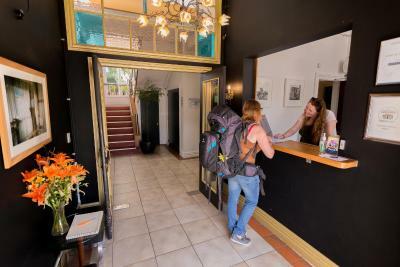 Amazing hostel with lovely staff, great breakfast, cinema room, nice people, very clean and friendly. One of the best hostels I've ever stayed at. The outdoor area is nice for breakfast, they have games, it's calm and more quiet, homie. Free tea, coffee, hot chocolate and milk. Cut cat. The hostel is really nice and was kept very clean. The staff was lovely and there was always someone around when you were in need of something. Couldn't get the WIFI to work on laptop but this was probably something I was doing wrong. I know that if I had asked staff they would have helped me resolve the issue. They were awesome. I do think it was a little bit expensive but on the other hand it's Wellington, so .... Mhmm. Interior was very nice though. Most helpful and friendly staff!